Is open 7 days a week, from 10am to 5pm for their very popular Cream Teas in the Manor House Tea Rooms. Lunches are served between 12noon and 2pm in the Manor House Restaurant or on the terrace. Barnsgate Manor is extremely popular for Anniversary and Birthday Parties and Celebrations, Special Occasions, Group Barbecues, Christmas Parties and Conferences. 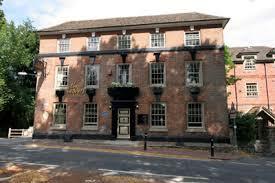 Offering contemporary accommodation, locally sourced food and a good selection of beers, ales and fine wines. We are renowned for our relaxed and welcoming atmosphere. Whether you are looking for an over night stay, relaxing weekend, a light lunch, evening meal, family dinner celebration or event, we can cater for every occasion. Nothing is too much trouble for our dedicated and friendly team. A 14th Century public house and restaurant located in the pretty hamlet of Blackboys, situated on the outskirts of Uckfield, East Sussex. The pub has been under brand new ownership since October 2011. The Blackboys Team have been introducing exciting new menus and offering superb hospitality as well as offering traditional home cooked Sunday Roasts. To accompany your meal, there is a superb selection of Fine Harveys Ale and also an excellent wine selection. Visitors are welcome to visit the wood during the cafe opening hours (9am-5.30pm, Wednesday-Sunday in school term-times, everyday in the holiday). If you wish to go for a walk in the wood, please go to the cafe to make a donation and add your e-mail to the ‘friends of wilderness wood’ list which will keep you informed about changes and activities at the wood. We also ask you to abide by the Wilderness Wood Code of Conduct. This quintessential 18th-century coaching inn is located in the heart of the Sussex Weald, on the edge of Ashdown Forest.The rooms at the Chequers Inn are elegantly styled and furnished, featuring a flat-screen TV, tea & coffee facilities and a seating area. Each room also has a private modern bathroom.The bar offers real ales, fine wines and leads onto a decked garden area. A fantastic breakfast menu is available from 7am until midday Monday to Friday and from 8am to midday Saturday & Sunday. Our extensive menu is served every day from midday until 10pm and on Sundays we serve a choice of mouth-watering roast dinners from midday until 10pm. 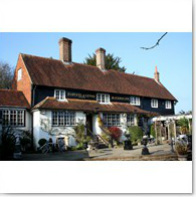 The Chequers Inn is situated in the heart of Maresfield village, just an hour from London. Lively Brighton and London Gatwick Airport are both a 40-minute drive away. OAST FARM IS A TRADITIONAL FRUIT FARM SET IN THE IDYLLIC SUSSEX WEALD. As well as a farm shop, offering our own fruit and fresh, local produce, we are one the few farms still to offer “pick your own” fruit to families looking to enjoy a healthy spell in the Sussex countryside. Additionally we have a well stocked fishing lake which has been popular with anglers over many years.The Shop is open from 9am to 5pm on Monday to Saturday and from 10am to 4pm on Sunday. As well as our own fruit *and apple and pear juice we sell fresh seasonable vegetables, local eggs and honey (including that from bee hives on the farm) as well as jams, preserves and chutneys made in Sussex. We sell bread from the celebrated artisan bakery, Flint Owl, based in Glynde and popular cakes baked in nearby Framfield. Propel Bikes exists to provide quality products & service at an affordable, value for money level to the cycling community of Uckfield & surrounding areas. Whether you ride for sport, fitness, fun, pleasure or just as a way of getting from A to B, we are here to serve you..